The followup to the Reto 3 Cement “Tinker” that gathered huge hype during the Super Bowl Halftime show is coming. This Saturday, March 24th the Retro 3 NRG “Tinker” will get a very limited drop. Based on iconic Jordan designer Tinker Hatfield’s original design sketches, these kicks are loaded with details, both bold and hidden. Most notable is a black swoosh on the outer panel. On the inner panel NIKE is embroidered just below the eyelets. 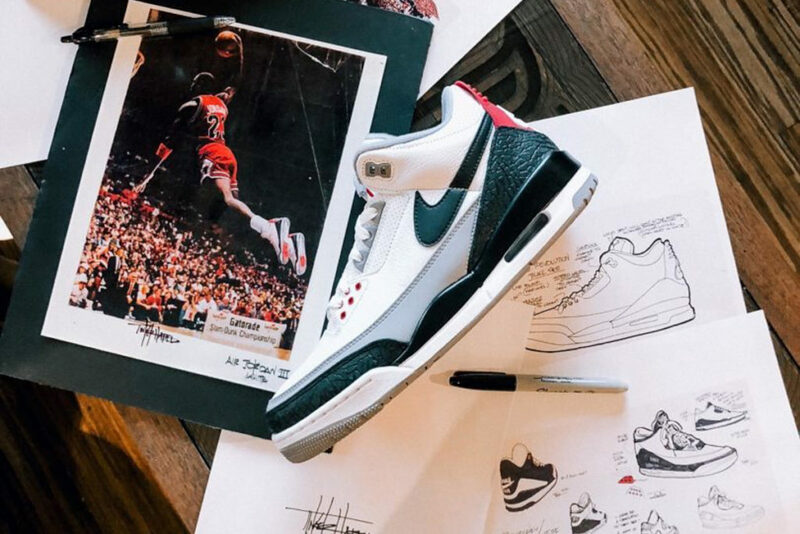 Inside the tongue, instead of the usual AIR JORDAN tag, there is Tinker Hatfield’s signature. 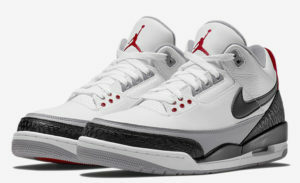 The insole features a print of those original Air Jordan 3 sketches.